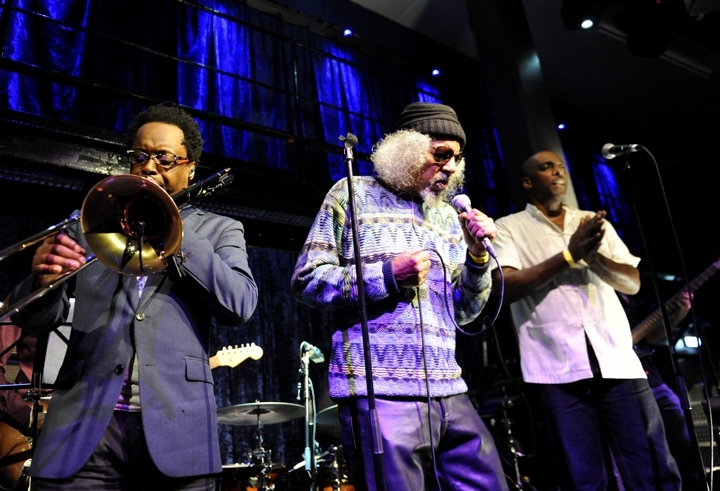 Jalaluddin Mansur Nuriddin presented ‘Hustler’s Convention’ 40th Anniversary at the Jazz Cafe in London on Monday night and the “Godfather Of Rap” blew us all away – including the High Priest of P Funk, George Clinton. Despite the miserable weather, the Camden venue filled up rapidly with a diverse crowd of the faithful and the curious eager to experience a live interpretation of ‘Hustler’s Convention’ – a cult album that is arguably the head cornerstone of rap. 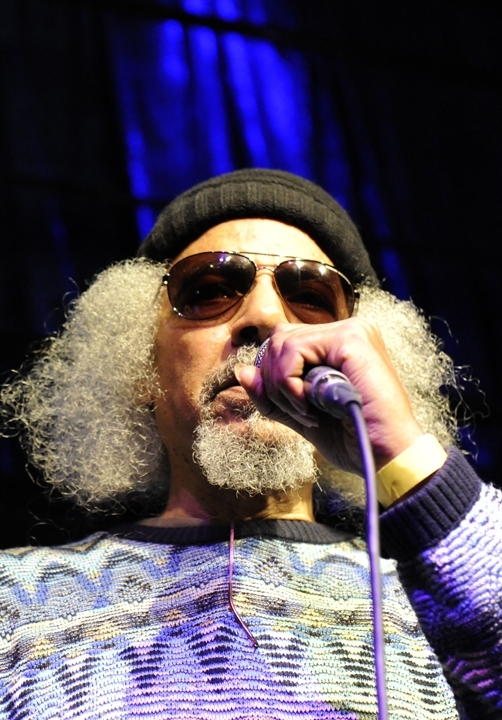 Having been familiar with this album and Jalal’s other incisive and skillfully crafted offerings, as a founding member of The Last Poets, I was more than happy to revisit Jalal’s mesmerising onstage rhyming skills. I was also keen to discover how the Jazz Warriors International and the MD for the project, Orphy Robinson, was going to recreate the musical setting and atmospherics that frame Jalal aka Lightnin Rod’s original journey into the hustlin’ life. There were a lot of faces in the house and the level of anticipation high. 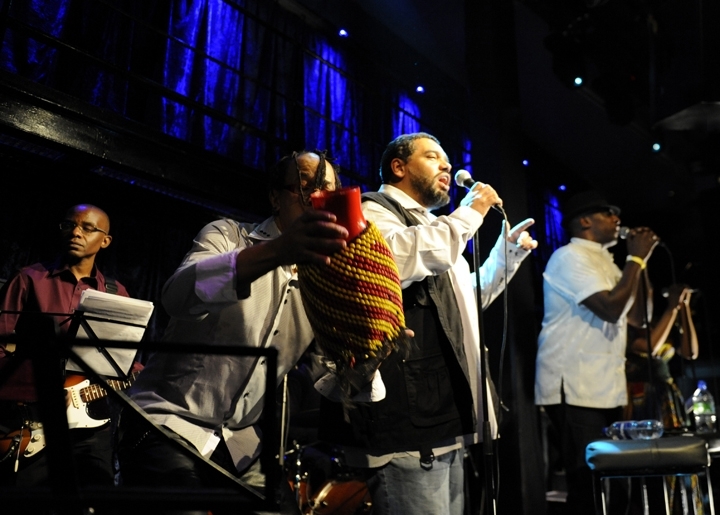 It was down to Liverpudlian poet and prime mover behind this project, Malik Al Nasir to open the set with a hand picked ensemble called the OG’s. Mentored by both Jalal and the late great Gil Scott Heron, Malik brought his own poetic life experience to the event and his no nonsense delivery came wrapped in the warm, versatile vocals of Cleveland Watkiss and Chantelle Nandi. It was down to Jalal to lift it all to another level. At 70 Jalal projects serious gravitas. 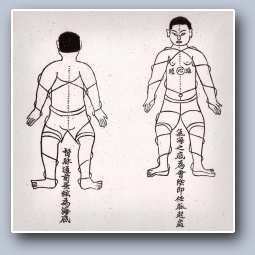 His dedication to Bak Mei – ‘White Eyebrow’ – gong fu and the healing arts of acupuncture make for a strong body and a clear mind. A shock of silver grey hair bursts in bunches from below his woolen hat; his eyes are hidden behind a pair of aviator shades. He’s primarily onstage at the Jazz Cafe to perform an often misunderstood concept album, that was written four decades ago as warning about a “career” the hustlin’ life, but his own contemporary concerns about the future of mankind are clearly to the fore in his thinking. I bought The Last Poets ‘This Is Madness’ LP at the dawn of the Seventies and had never heard anything like it. It was a shocking and challenging experience that truly conveyed the intensity of racial divide in the States. So, my initial meeting with Jalal back in Eighties was charged with expectation. If I recall correctly Jalal announced his presence in London via a phone call to Gilles Peterson’s Mad On Jazz radio show. We’d just started Straight No Chaser magazine and the Talking Loud & Saying Something Sunday afternoon session at Dingwalls was in full flight. Jalal became a face on the scene. 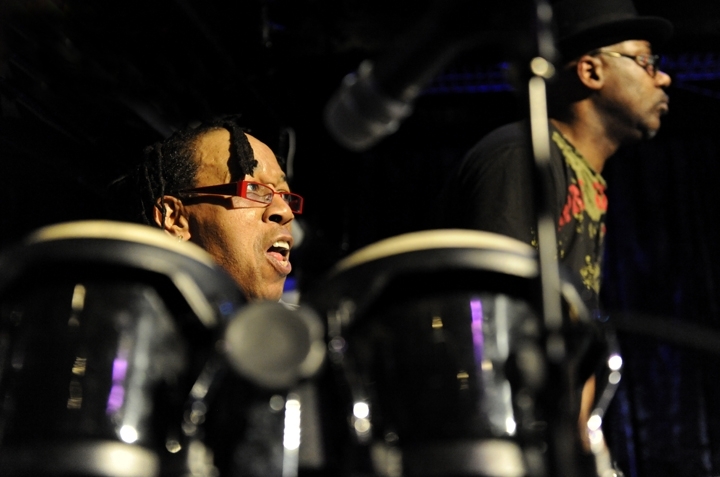 He participated in one of the radical Straight No Chaser fund raising session at Dingwalls and also taught gong fu to members of the Young Disciples and Galliano. We were in awe…. he was one of the Last Poets!! However, on reflection, I don’t believe that we could fully grasp the depth of Jalal as an artist. His deep knowledge and waves of words were forged during the most turbulent era in post-war/cold-war America’s history – they were/are his weapons in an ongoing struggle. He was, in reality, a brother from another planet and we lacked the confidence and skills to create something potentially unique. As a generation, through an engagement with Black music and culture, we were being increasingly enlightened as to the reality of deep rooted racism in the US. In turn, that knowledge had to relate in practice to our own lives in the UK. One thing’s for sure, Jalaluddin Mansur Nuriddin had an impact on all us and it was good to see him back on a London stage , a documentary crew in tow and an autobiography being worked on. It made me think that maybe, hopefully, this is his time. Jalal does nor speak kindly of today’s “candy rappers”. He rightfully remains bitter at the fact that his recordings, which are still on sale or now streamed on Spotify, have never delivered the financial rewards he is due. But through his craft, on this night, his lyrical ire is aimed at humanity as a whole… “mankind was given a little free will between a choice or a chance to build or kill”. He regaled us, over a bass driven rhythm, with a picture of mankind that is schizophrenic, avaricious, suicidal, genocidal, psychotic, idiotic, egotistic, sadistic… and on mission of self destruction. He dipped into his verbal vaults to analyse the symbols on a dollar bill and had George Clinton vibin’ on every word. In every action there’s a reaction and Jalal’s reasonings are an endless flow of rigorous observations and concepts punctuated by call and response style chants. It all comes together with tsunami like momentum and throws back in our faces the fragility of our planet and madness of our inactivity. There are hooks, from a stack of albums, that are ingrained in the consciousness of all those stood around me and it was impossible, for each and everyone, not to finish them off as they ricocheted around the room. It was an extraordinary night and now look forward to Jalal’s promise of both a ‘Hustler’s Detention’ and a ‘Hustler’s Ascension’ along with the film which, with the support of Public Enemy’s Chuck D, is due to premiere at The Smithsonian in DC sometime later this year. This entry was posted in Deep stuff, Is That Jazz?, Words, Sound & Power and tagged Cleveland Watkiss, Douglas Recoords, George Clinton, Gil Scott Herom, Hip Hop, Hustler's Convention, Jalaluddin Mansur Nuriddin, Jazz warriors Int., jazzoetry, Orphy Robinson, P Funk, poetry, rap, The Last Poets. Bookmark the permalink. Thank you Paul and Siobhan Bradshaw for a great reveiw and a fantasic set of images. I put this whole production together in a very short space of time and it was challenging being producer’ co-promotor, publicist and performer but the reaction of the crowd was all I needed to make all those sleepless nights I put in worthwhile. Thank you. An excellent, in-depth review of a very special evening. The atmosphere was electric – as was the music/spoetry, with love , respect and admiration in the air. This was without doubt the best ‘gig’ I have ever witnessed. All respect to Malik Al Nasir for organising this. Thank you, Paul.